1. Beard gardens. While not everyone loved this idea, we actually thought it was pretty awesome! 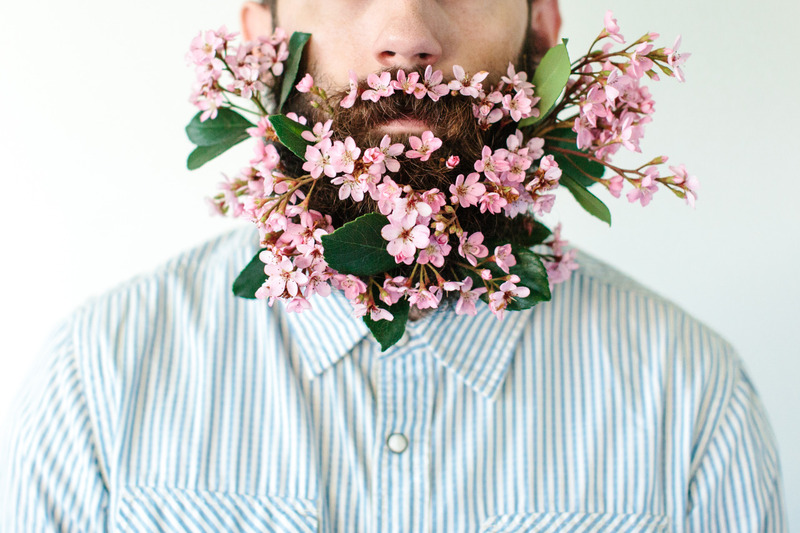 It might make you say “WTF” at first, but then you realize that the idea of floral crowns for dudes is totally legit. 2. Bridesmaids baring their butts. Photos of bridesmaids baring their thongs for staged wedding photos went viral in late June. Though Cracked.com made it pretty clear that this was neither new, nor a true trend, it was still a huge wedding story this summer…and an idea that we’d say is fine to skip. 3. Shadow weddings. We wrote about this outrageous idea in July; during a shadow wedding (which takes place about a week before the “light,” or traditional, wedding) couples head into the woods where they exchange rings made of garbage and vow to be awful to each other. Guests are invited to respond with visceral reactions like growling or spitting. 4. Drones at weddings. As we reported in early August, drones at weddings are catching on…despite the fact that they are dangerous, slightly creepy, and possibly illegal. 5. Wedding photos being taken at work. We love our jobs, but not enough that we want to have our wedding photos taken at the office! But this summer we shared that that’s exactly what some Chinese couples are doing. 6. ManServants. OK our first reaction may have been “WTF”…but it was immediately followed by “OMG AMAZING!” Watch the video about ManServants and we think you’ll agree it’s the best bachelorette trend that’s happened in a long time.